Iki is a popular tourist destination in Japan. Enjoy the food, hot springs, and ocean. 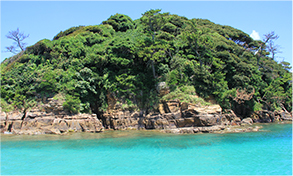 If you're planning a trip to Japan, how about visiting Iki island in Nagasaki Prefecture in Kyushu? It takes about an hour by ferry to reach Iki from Fukuoka Prefecture. It is a popular tourist island in Japan. Of course, the food is great and there are many tourist sights, beautiful natural scenery, shrines, and historic sights, and other Japanese cultural things. A hot spring is something you must try in Japan. There is so much variety on Iki. 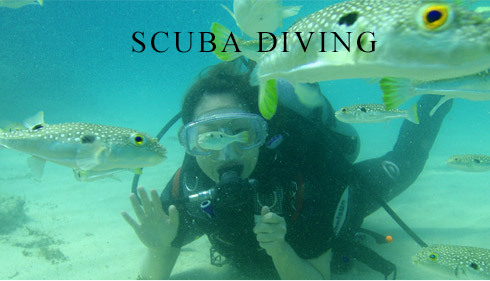 Surrounded by ocean, marine sports are popular on white sandy beaches and a crystal-clear ocean. When traveling with friends or family, please include Iki in your plans. Yunomoto is a hot spring town with an outdoor onsen bath affording great ocean views. While bathing and gazing at the sunset sky, the natural air will relax and refresh you. In spring or fall, enjoy the season while in the hot spring. This picturesque onsen town with columns of steam is the island's prime place to relax. Being an isolated island, Iki has unspoiled nature. Below the big sky is grand nature. The natural background hosts many manmade sights. 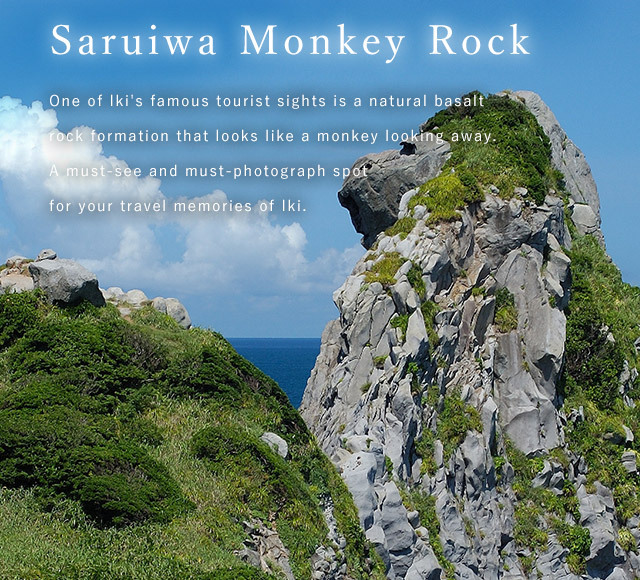 During fine weather, here are some Iki sights to see. Iki island in the Genkai Sea measures only 17 km north?south and 15 km east?west. However, it is dotted with over 1,000 Shinto shrines. Since it supposedly has Japan's highest concentration of gods, Iki is popular among tourists as a "power spot" for Japan's unique culture. Iki flourished as a relay point for conveying culture from China and the Korean peninsula to Japan. Many historical artifacts from this era still remain on Iki. By seeing the exhibited artifacts and ruins, you can be amazed by the local history. how to plan an enjoyable trip. Hopefully, this sample itinerary will help you! As the sea breeze delights you, you have arrived on Iki. Your tour of Iki starts now! First, dine on extra thick sirloin steak cooked on a hot iron plate at Umeshima restaurant which operates its own cattle farm. Fine Iki beef! When your prayers come true, it is customary to offer a stone monkey at Ondake Shrine. Next to the shrine are over 200 of them. Sakyo-bana is on the island's nose-like protrusion lined with high cliffs. It gives a feeling of vast openness. Nearby are the Horahoge Jizo guardian statues standing in the ocean. At high tide, the statues go underwater and pray for marine safety. They are the guardians of Iki. After you pray to them for a safe trip, go to the family home of Iki-native Yasuzaemon Matsunaga, dubbed the King of Electric Power. The home is now a museum. It traces the history of a great man who helped promote the electrification of modern Japan. At Ikinokura Distillery, taste some Iki shochu liquor, then go to Tsukiyomi Shrine. Travelers who know about these places will most definitely pay a visit. 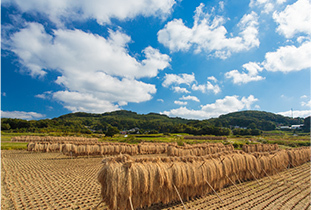 Iki is famous as the birthplace of barley-based shochu liquor. Ikinokura Distillery is one of Iki's Seven Famous Distilleries. You can visit and watch the production process. Shochu tasting is also provided! After you feel slightly tipsy, visit Tsukiyomi Shrine, the so-called birthplace of Shinto. In front of this shrine in existence since 1,500 years ago, be in awe of its history. Check-in to View Hotel Iki, your hotel for the night. Enjoy the ocean view and a great dinner with fish and meat! The View Hotel's breakfast is Japanese-style with mineral-rich Iki tofu and dried fish. Enjoy the blessings of the island starting with breakfast. Stroll around Katsumoto in northern Iki. 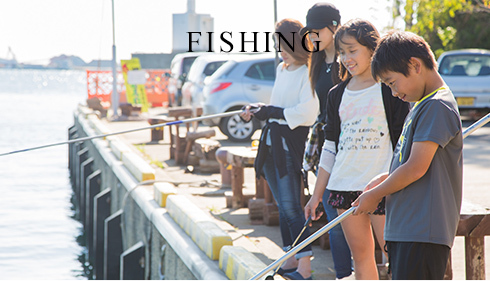 While searching for gifts at the Katsumoto Morning Market or Shimojo Kudamono shop, meet the island's warm people. 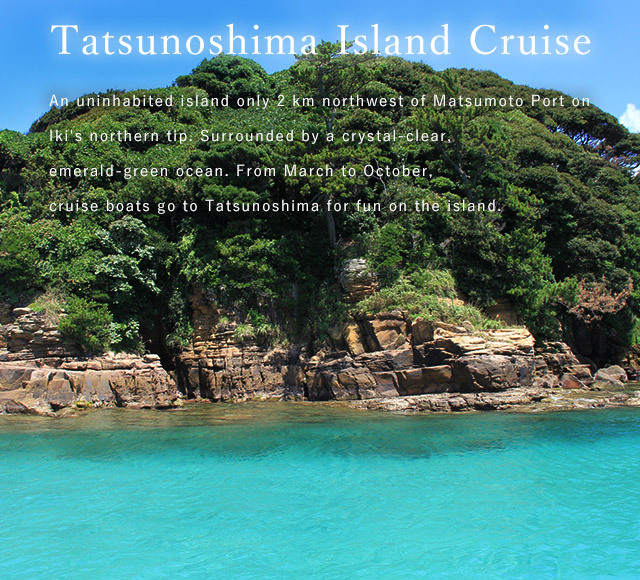 Go on a cruise to Tatsunoshima island, one of Iki's major sights on the emerald-green ocean. See the Ocean Palace, Mammoth Rock, Shell Rock, and other sights. *Cruise fare for adults: \1,500, Children: \750. 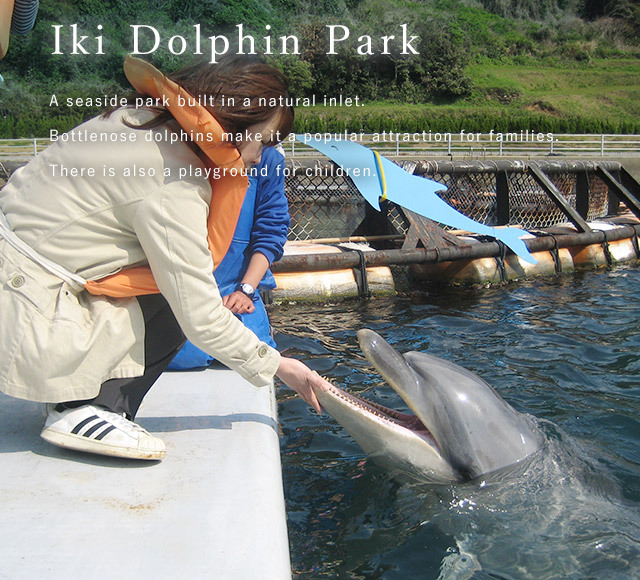 At Iki Dolphin Park, children will be thrilled to touch bottlenose dolphins. Children can have fun, and the adults will melt at the cuteness of the dolphins. Adults: \200, Elementary and junior high kids: \100, Infants: Free. 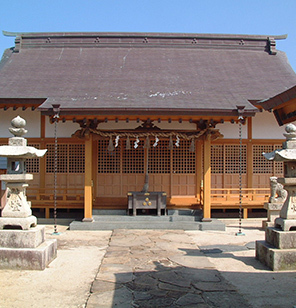 One of Iki's seven major shrines, Shomogu Shrine has a history of over 1,200 years. Pray for marine safety, transportation safety, safe childbirth, or a good marriage partner. You can also receive a vermillion stamp to prove you visited. Katsumoto has lots of island eateries! It's up to you to decide which! Enjoy your last lunch on Iki to the fullest! Throw the paper tape as a farewell. bring different people with you for a different experience! The thick and juicy pork will flood your mouth with superb taste. The chef's smile is great too. and 100% Iki beef! 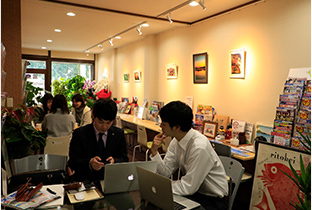 A relaxing cafe in tune with the island's rhythm. a local delicacy. They only use top-grade sea urchin. Plan your trip to see an event on Iki held only once a year. Many events are held on Iki and many repeat visitors come to see events in different seasons. Of course, first-time visitors are very welcome too. 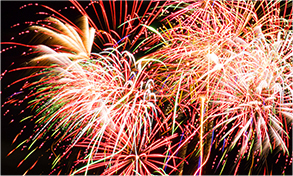 Iki's summer fireworks are launched close to where the spectators are. So when there is a large one bursting in the sky, you can feel the vibrations. Held annually in August. Held on the uninhabited island of Tatsunoshima on the fifth Sunday of July or on the first Sunday of August. 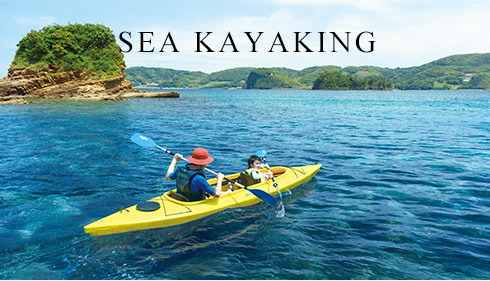 Paddle on a sea kayak, shatter a watermelon, or catch fish in the ocean. A fun day designed for both kids and adults. 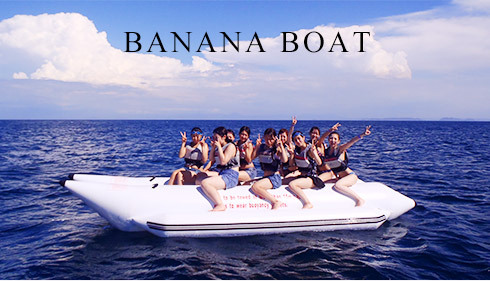 Boat fare for adults \500 and children \300. 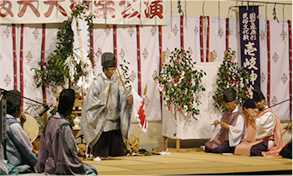 Daidai Kagura Dance dates back to the Muromachi Period 700 years ago. 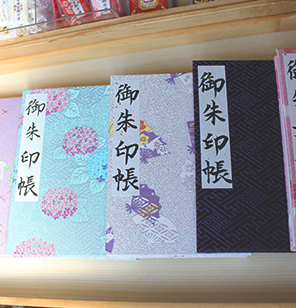 It is an Important Intangible Folk Cultural Property of Japan. A sacred dance performed at Sumiyoshi Shrine for seven to eight hours only by Shinto priests. 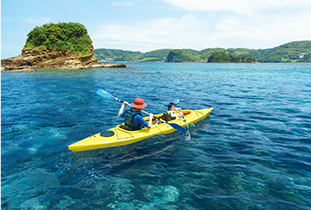 There are many travel companies in Japan, but for trips to islands, please leave it to Tabinowa, the island travel specialists! Tabinowa has a thorough understanding of each island's deep-rooted culture, natural features, and other distinctive characteristics, and works together with island locals. This means that Tabinowa can offer a wide variety of travel plans! If you are considering taking a trip to an island, please contact us by email first.A conversation with a member of our staff who can provide service in your language will give you peace of mind, and a travel plan that is perfect for you. We will also make the preparations for boat rides, and a rental car for when you get there! *In order to drive in Japan, an international driver's license is required. *In some cases, rental Wi-Fi services may not be available on islands. Please contact us for details. Copyright cIKI Tourism. All Rights Reserved.